Have you ever imagined that life can be so bizarre that when humans have set foot on the land of the aliens, humans now become the "aliens" in their eyes? Planet 51 is an animated story about an alien world reminiscent of 1950's America featuring the voices of Dwayne "The Rock" Johnson, Jessica Biel, Gary Oldman and John Cleese. The film takes place on a planet similar to Earth, except only that the inhabitants are Shrek-like humanoids who live and do things like humans. 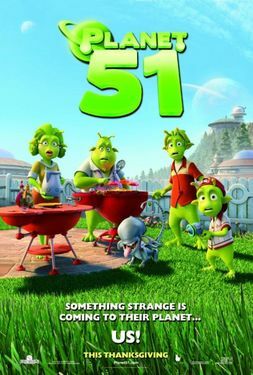 When astronaut Chuck Baker (voiced by Dwayne Johnson) suddenly appeared on Planet 51 from his lunar spaceship, the little green humanoids panicked thinking that they'd be turned into zombies. Obviously, Chuck who is human, appeared to them as "the alien." Until the whole community was disturbed by the presence of Chuck and had him arrested. Chuck now is troubled because he needed to be back on Earth in less than 48 hours. I had the privilege to have watched the advanced screening of Planet 51 on November 16, 2009 at The Podium Cinema sponsored by Zed. 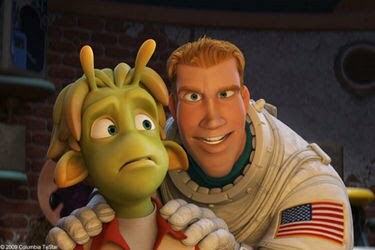 Planet 51 had its World Premiere in the USA last November 20, 2009. Wow, I was even one of those lucky people to have seen it first than America! The film will be shown in 170 countries across 5 continents. 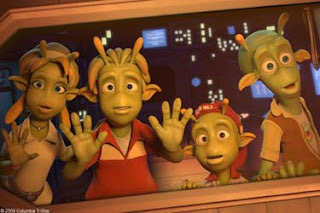 In the Philippines, Planet 51 will be shown nationwide starting December 2, 2009 distributed locally by Pioneer Films. The plot is interesting, funny and very entertaining. Kids will surely love Planet 51! I also love the animated art, the sound and the musical scoring. However, there are some rough edges in the story that need a little polishing. First, the movie did not quite give any hint as to why Chuck, the astronaut had to be in Planet 51 and why did he land on a planet similar to Earth except only that the inhabitants looked very strange. Second, the ending was quite predictable and expected. The last part could have been improved. I wish that Chuck reaches Earth and makes a report on what kind of trouble he got himself into in Planet 51 within his time limit. Zed, the developer and marketeer of entertainment and community products and services for mobile and the Internet, announces the release of its exclusive mobile portfolio and in the Philippines it is exclusively available to SMART Communications around Planet 51, the highly-anticipated computer-generated animated movie produced by Zed Group´s sister company Ilion Animation Studios. Zed’s exclusive portfolio includes more than a hundred samples of graphic content types for mobile personalization: walltags, wallpapers and animated wallpapers, as well as full track music and real sounds taken from the movie. Moreover, Zed’s portfolio includes 3 exclusive mobile film-to-game adaptations, including a special iPhone /iPod Touch game that will be available through Apple’s App Store: Planet 51 Racer, a frantic car race in Planet 51. Fans will have the chance to choose their favorite character, each one with unique driving features, and steer their car with iPhone’s accelerometer. Furthermore, there will also be available exciting multi-character platform games and breathtaking urban racing experiences under the titles Planet 51 On the run and Planet 51 Behind the wheel (Java). This offer will give the SMART Communications susbcribers the chance to extend the movie experience by stepping into the shoes of their favorite characters from the big screen on a mobile device. A full multiplatform entertainment offer has been developed around the movie, including console games for Xbox 360, Playstation 3, Wii and Nintendo DS, an online free-to-play gaming universe (http://www.planet51online.com) and an extent mobile content portfolio. Over 2.000 million people around the world are expected to be aware of the Planet 51 brand. Planet 51 and the 360º entertainment offer that surrounds the movie is an outstanding example of Zed Groups’ multiplatform vision. In the Philippines through exclusive partnership with SMART Communications, Planet 51 Online Gamers can enjoy buying virtual money through SMS service provided by Zed Philippines. Free gaming codes that will enable gamers to get free virtual tokens will also be available to select SMART Bro users. 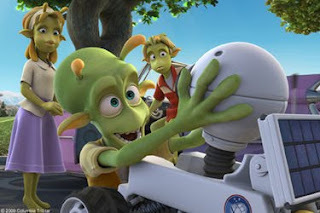 Planet 51 Online was developed by Zed Group´s sister company Ilion Animation Studios. 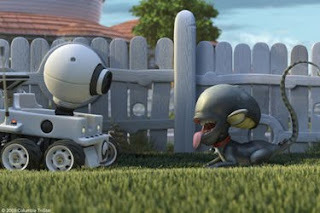 The game is an online virtual world, where you play for free, that allows players to become a part of and explore the Planet 51 universe, populated by other fans of the film connected via the internet. Free to play, the game is available to be downloaded at www.planet51online.com and in the Philippines, SMART Communications subscribers will enjoy exclusive privilege to purchase game virtual money through SMS service in the future. Zed Worldwide, the multiplatform digital entertainment company, develops and markets entertainment and community products and services for all platforms. The company is the leading mobile value-added services (MVAS) player in the world in terms of revenue and geographical footprint. Zed operates in 60 countries, including Europe's largest markets, USA, India and China and holds agreements with 130 wireless operators across the globe. Ilion Animation Studios was founded in 2002 to create state-of-the-art computer generated animated movies for worldwide cinematic release using its own purpose-built cutting-edge technology to achieve a unique visual animation experience. 250 highly talented and experienced artists, program developers, high-tech engineers and other professionals from over 20 nations worked together at Ilion on Planet 51. Thank you, Smart Zed Philippines!! !